It was bound to happen. Today the vagaries of the Irish weather were felt with force. Yes, it rained. All day. We headed for Dingle which, unfortunately, has become even more touristy than I remembered – a pity but I suppose inevitable. 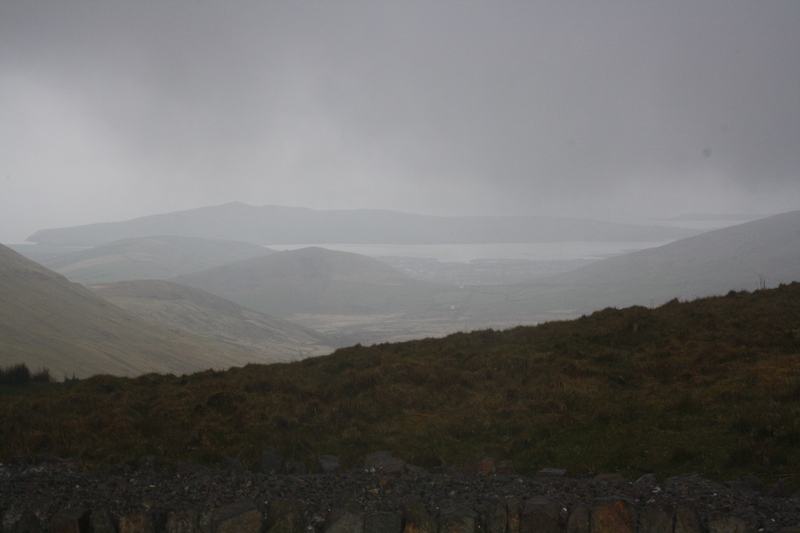 We had two options – the Slea Head drive or the Connor Pass. Unluckily, we delayed our decision and set off just as the rain started. 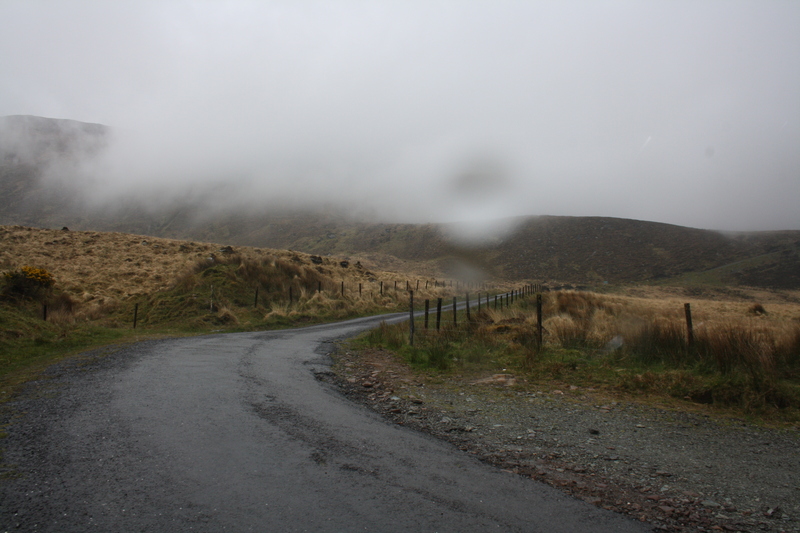 The higher we travelled the heavier the rain and by the time we reached the top of the Connor Pass, the cloud was blowing in at speed. Braving the elements, I managed to take a few snaps (forgive the raindrops blurring the pictures) just to prove to you that I was actually there! Down the other side – not for the faint-hearted but luckily the weather meant there were few cars about on the road, that for a brief section is only wide enough for one car. 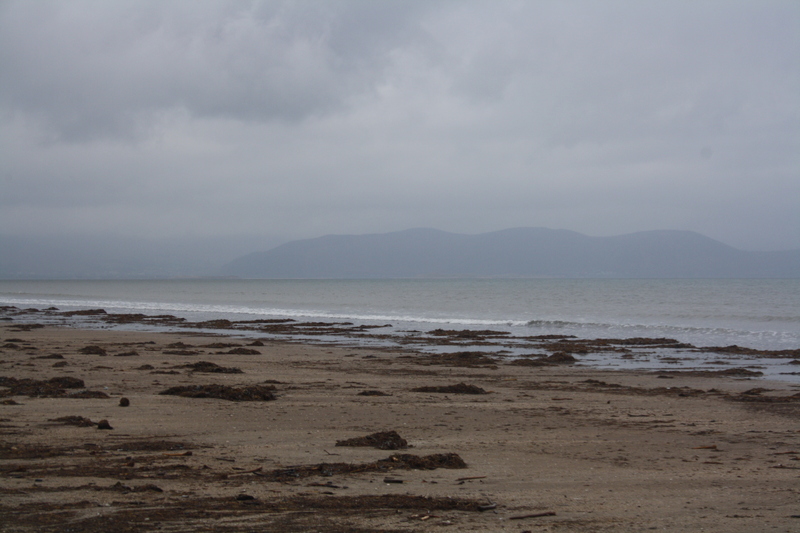 We headed for Castlegregory in the hopes that the rain would stop but it was in vain. Disappointed, we headed back to Annascaul. Back to civilisation and proper roads (sigh of relief) and we headed to Inch beach. Again, on a fine day it would be glorious but with a misty rain it was hard to appreciate it. The road from Inch to Annascaul is where I have located my fictional house settings for the book so I was keen to see the lay of the land. Some idiot decided to stick a few mountains where I had placed rolling parkland – back to the drawing board on that one!! Great plans for tomorrow if the weather holds, but for now, happy out in The South Pole Inn (again!) where the food and beer are just the ticket. So sorry for the bad day. 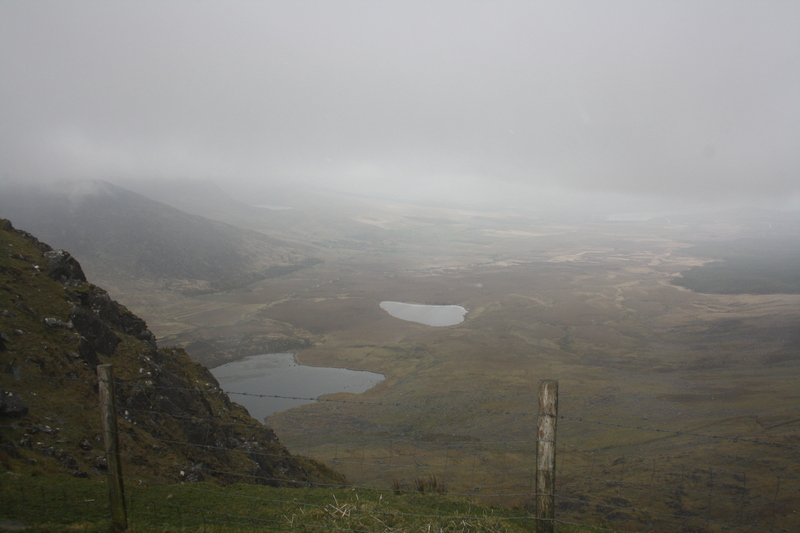 It was rainy when I visited the Ring of Kerry too. I didn’t mind, I acutally like that kind of weather (I don’t know why. Maybe because I’m a Mediterranean woman and I like what’s different 😉 ), but one of my friends really hated the trip because of the weather.